Distributor: Homelite Consumer Products Inc., of Anderson, S.C. Hazard: The fuel tank can leak gasoline, posing a fire hazard to consumers. Incidents/Injuries: Homelite has received 18 reports of fuel tanks leaking gasoline including one report of minor skin irritation. The model number and manufacturing date code are printed on the blower’s data label which is located on the red plastic housing above the choke knob and adjacent to the fuel tank. Products with a green “dot” on the outside of the package or the letters “CA” embossed on the fuel tank are not included in the recall. Sold at: Home Depot stores and various retailers of refurbished products including Direct Tools Factory Outlets, CPO Homelite, Gardner, Tap Enterprises, Isla Supply and Heartland America stores nationwide from September 2007 through October 2009 for between $90 and $140. Remedy: Consumers should stop using their backpack blowers immediately and contact Homelite for the closest dealer location to schedule a free fuel tank replacement. The U.S. Consumer Product Safety Commission, in cooperation with the firm named below, today announced a voluntary recall of the following products. Consumers should stop using recalled products immediately unless otherwise instructed. Manufacturer: No-Spill LLC, of Lenexa, Kan. Hazard: The gas containers can leak fuel at the black plastic collar where the spout connects to the can, posing fire and burn hazards to consumers. Description: The 5-gallon gas cans are made from heavy-duty red plastic and carry date codes AIP09202 through AIP09222. The date code is located on the bottom of the can. Not all cans in this date range are affected. Sold at: Lawn & garden stores nationwide, hardware retailers and online from August 2009 through November 2009 for about $30. Remedy: Consumers should test their gas cans to determine whether they leak and immediately stop using the leaky cans. 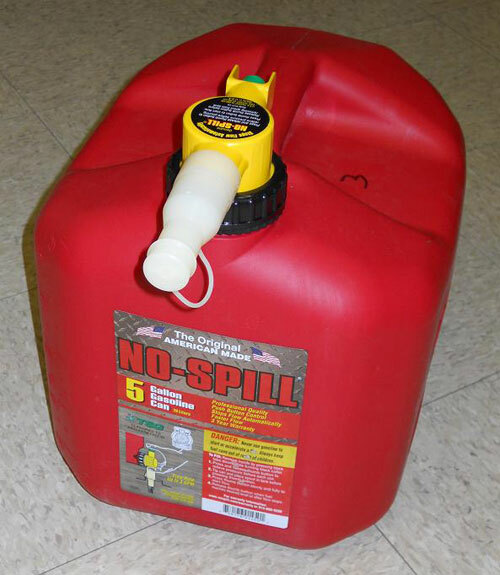 Consumers should contact No-Spill to receive a free replacement. Importer: LG Sourcing, Inc. of North Wilkesboro, N.C. Hazard: The flexible rubber hose on the LP gas tank can come into contact with burner box, causing the hose to melt and rupture when the grill is lit. This poses a fire and burn hazard to consumers. Incidents/Injuries: The firm is aware of two complaints of the hose melting and rupturing. No injuries or property damage have been reported. 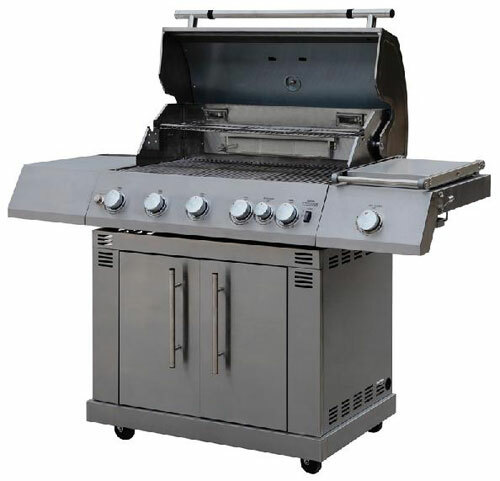 Description: This recall involves Master Forge five-burner, stainless steel gas grills. The name “Master Forge” is on the grill hood. The model number L3218 is located on a label inside the left front door of the grill. Sold exclusively at: Lowe’s stores nationwide from September 2009 through November 2009 for about $500. Remedy: Consumers should immediately stop using the recalled grills and contact Sagittarius to obtain a free repair kit. Consumer Contact: For additional information, contact Sagittarius at (800) 444-6742 between 8 a.m. and 6 p.m. ET Monday through Thursday, and 8 a.m. and 5 p.m. on Friday. Hazard: The power connector for the dehumidifier’s compressor can short circuit, posing fire and burn hazards to consumers. Incidents/Injuries: LG has received 11 reports of property damage incidents involving arcing, heat, smoke, including four fires that spread to the building structure and involved significant smoke/water damage. No injuries have been reported. 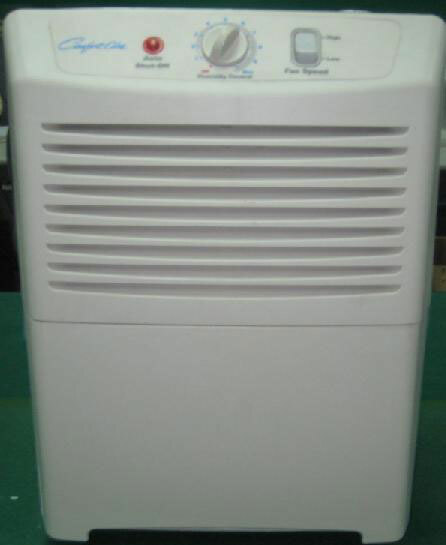 Description: This recall involves 30 pint portable dehumidifiers sold under the brand names in the chart below. 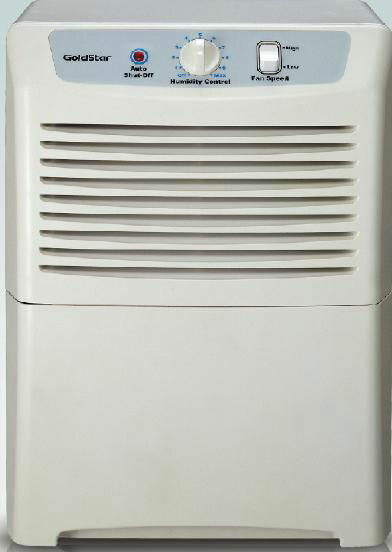 The dehumidifiers are white with a red shut-off button, controls for fan speed and humidity control and a front-loading water bucket. “Goldstar” or “Comfort-Aire” is printed on the front. The model and serial numbers are printed on the interior of the dehumidifiers and can be viewed after the water bucket is removed. Sold at: The Home Depot, Walmart and Heat Controller Inc. nationwide from January 2007 through June 2008 for between $140 and $150. 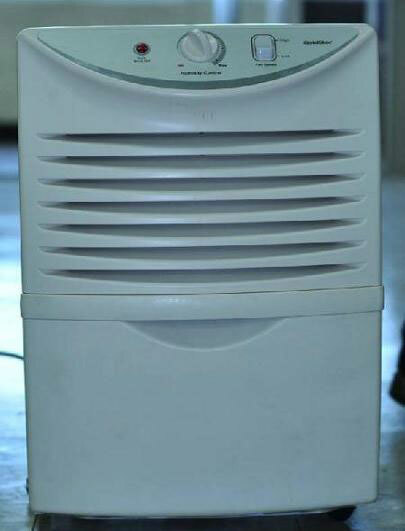 Remedy: Consumers should immediately stop using the recalled dehumidifier, contact LG to determine if it is included in the recall and return it to an authorized LG service center for a free repair. Distributor: Rockler Companies Inc., of Medina, Minn. Hazard: Defective wiring in the light kits can cause the battery pack to overheat and explode, posing a risk of burn and fire hazards to consumers. 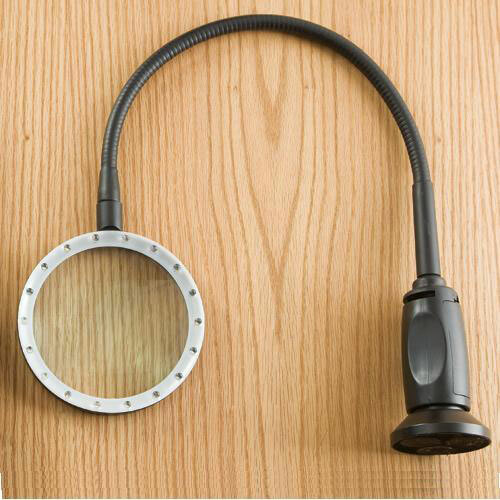 Description: This recall involves Rockler LED lights with either an interchangeable spotlight head or a magnifying head. Models included in the recall have stock numbers 26429 (spotlight or 27017 (magnifying). Stock numbers are printed on the light’s packaging. Sold at: Rockler Woodworking and Hardware and other specialty stores nationwide from March 2009 through October 2009 for about $60. 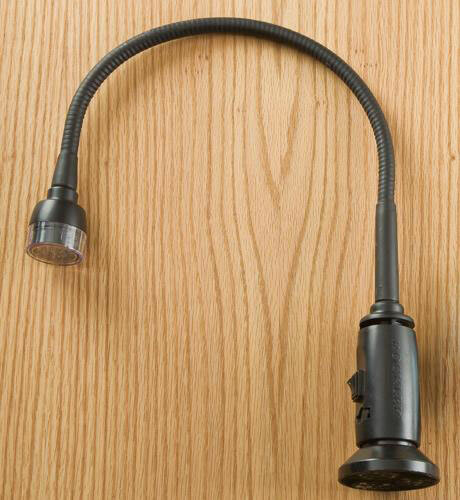 Remedy: Consumers should immediately stop using the recalled LED light kits and call Rockler Companies to receive a free repair kit and installation instructions. The U.S. Consumer Product Safety Commission and Health Canada, in cooperation with the firm named below, today announced a voluntary recall of the following products. Consumers should stop using recalled products immediately unless otherwise instructed. Hazard: The flame from tea lights can ignite these tea light holders, posing a fire hazard. Incidents/Injuries: The firm has received three reports of the tea light holders burning. No injuries have been reported. 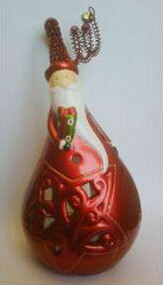 Description: The Ceramic Santa Tea Light Holder is red and white and designed in the image of Santa Claus. The tea light holder measures approximately 7-1/2 inches tall and 3-1/2 inches wide with a red metal hat and an opening in the back to place a tea light candle. SKU number 2417274 is printed on the bottom of the tea light holder. Sold at: Pier 1 Imports in the U.S. and Canada from September 2009 through December 2009 for about $10. Remedy: Consumers should stop using the Ceramic Santa Tea Light Holder immediately and return it to their nearest Pier 1 Imports retail store for a full refund or merchandise credit. Hazard: The flame from the tea lights can ignite the glitter on the candle, posing a fire hazard. Incidents/Injuries: The firm has received three reports of the glitter burning. No injuries have been reported. Description: This recall involves two styles of tea lights. 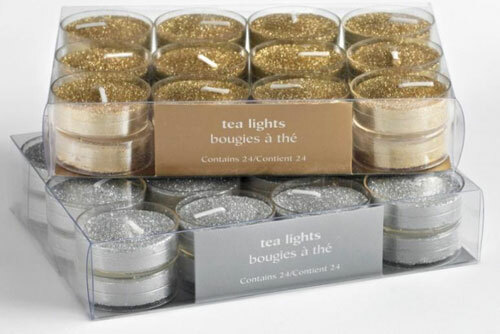 A clear box of 24 silver glitter tea lights with SKU 2410335 and a clear box of 24 gold glitter tea lights with SKU 2410322. The SKU number is located on the bottom of the packaging. Remedy: Consumers should immediately stop using the tea lights and return them to their nearest Pier 1 Imports retail store for a full refund or merchandise credit. Hazard: The battery housing under the helicopter canopy can overheat while charging, posing a fire hazard. Incidents/Injuries: The firm has received one report of a fire that started while a store demo toy was charging. No injuries or property damage have been reported. Description: This recall involves Danbar Toys Knight Hawk 3D remote control helicopters. The helicopter can be identified by model number 006047 marked on the back of the controller and the Knight Hawk 3D logo on the front of the controller. The product was sold at RadioShack as catalog number 600-0566 (60-566) for ages 8 and up. Sold at: RadioShack stores, RadioShack dealer franchise stores nationwide and at www.radioshack.com from October 2009 through November 2009 for about $60. Remedy: Consumers should immediately take the helicopters away from children and return the toy to the nearest RadioShack store for a full refund. Importer: Zippo Manufacturing Company, of Bradford, Pa. Hazard: Lighters can produce an excessive flame when adjusted to maximum flame setting, posing a burn hazard to consumers. Description: This recall involves the Zippo Slatkin & Co. candle lighters with date codes G09 or H09. The lighters are finished in high-polish chrome or white with a chrome nozzle. The lighter uses refillable butane fuel and measures 6.5 inches long and 1 inch wide. The date code is embossed on the black adjuster knob located on the end of the lighter (opposite to the nozzle). “Slatkin & Co.” and “Zippo” are printed on the packaging. “Zippo” is also embossed on the product. Sold at: Bath & Body Works and White Barn Candle stores nationwide and online in November 2009 for about $10. Remedy: Consumers should immediately stop using this product and contact Zippo for information on returning the black adjuster knob and receiving a free replacement Zippo candle lighter. Hazard: A defect in the battery can cause the battery pack to overheat and rupture. This poses a fire and burn hazard to consumers. 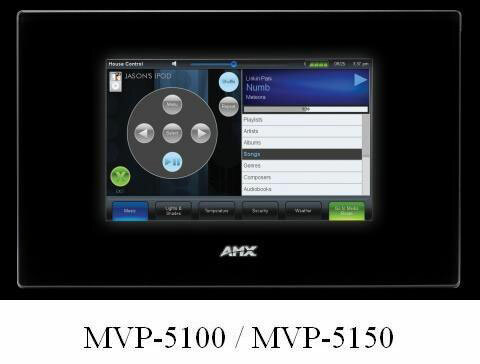 Description: This recall involves AMX 5000 series (MVP-5100, MVP-5150, MVP-5200i) wireless touch panels. The model number can be found on a label on the back of the unit. These touch panels can be used as remote controls for residential or commercial audio/visual systems. 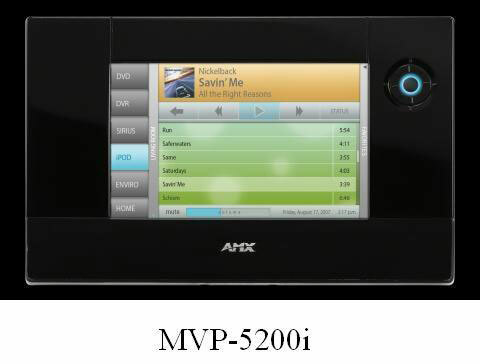 AMX 5000 series touch panels are available in black or white and include a 5.2” wide screen color LCD display. The touch panel’s dimensions are 4 3/4” x 7 9/16” x 13/16”. Sold by: AMX dealers nationwide from May 2008 through October 2009 for between $2,400 and $4,200. Remedy: Consumer should immediately stop using the touch panels and contact AMX for instructions on how to receive a replacement battery at no cost. Consumer Contact: For additional information, contact AMX at (800) 222-0193 between 6 a.m. and 6 p.m. ET Monday through Friday, visit the firm’s Web site at www.amx.com, or email the firm at service@amx.com and reference "XPX5000B."